Looking for a scare this Halloween? 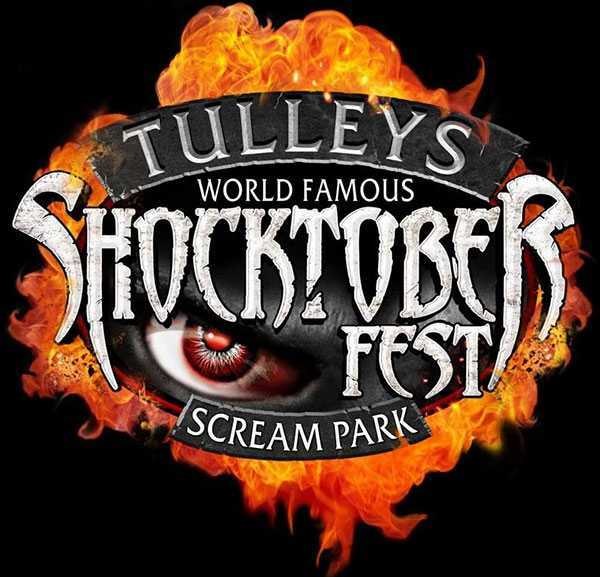 Just 15 minutes away from Gable End Guest House, Tulleys Shoctober Fest is the perfect choice. The winners of various industry and public voted awards, Shocktober Fest has continued to earn the title of the UK’s No.1 Halloween Attraction since 2008. The Fright Fest returns this year with 8 creepy attractions, great live music, and ghoulish food. With special effects, live actors, and shocking surprises, the haunts consist of: Coven of 13, panDEMONiums Carnival, The Chop Shop, The Colony, The Cellar Haunted House, Hororwood Haunted Hayride, Hell-ements, and The Creepy Cottage. Mr PanDEMONium and his circus have come to town, bringing with them the greatest show on Earth… or not of this earth as the case may be. These circus entertainers are unlike any you’ve seen before, and laughter will turn to screams as you see, in 3D, what lies beneath their painted smiles…. Cosy up with a coven of creepy witches. This attraction is centred on an old 17th century witches tale and is guaranteed to make your hair stand on end! Meet Billy-Bob and his team of gristly mechanics. How about a trailer or a pick up? If they haven’t got what you’re after, you may just be in for some…special renovations. Just remember, if they ask you to lean down and look into the trunk, run. Will you dare to venture into the old abandoned farm house and meet the creatures lurking in the cellar? With a scare factor of nine, this attraction is not for the faint hearted! Based around the goddess Hel – Queen of the Netherworld – only the strong will endure the ritual of the Hellements. Will you escape her clutches? Walking in the dark with your head shrouded and only a rope for guidance is enough to frighten the bravest of people! Meet the cannibalistic survivors of the apocalypse. Humanity has all but vanished and the ferocious members of the colony are sure to give you a fright! Aside from the main attractions, the street theatre provides a wealth of things to see and be scared by. With zombie nurses and clowns with chainsaws prowling the streets, there’s no escape from the horror. Watch the awe inspiring fire breathers, or have a tarot reading and connect with the spirit world. Zombie usherettes are on hand, peddling their wares – but beware of the ex-boyfriend flavoured popcorn! And after all that, why not stay for the night at Gable End? Just 15 minutes away, the beds are so comfy you’ll get plenty of sleep, no matter how scared you are!